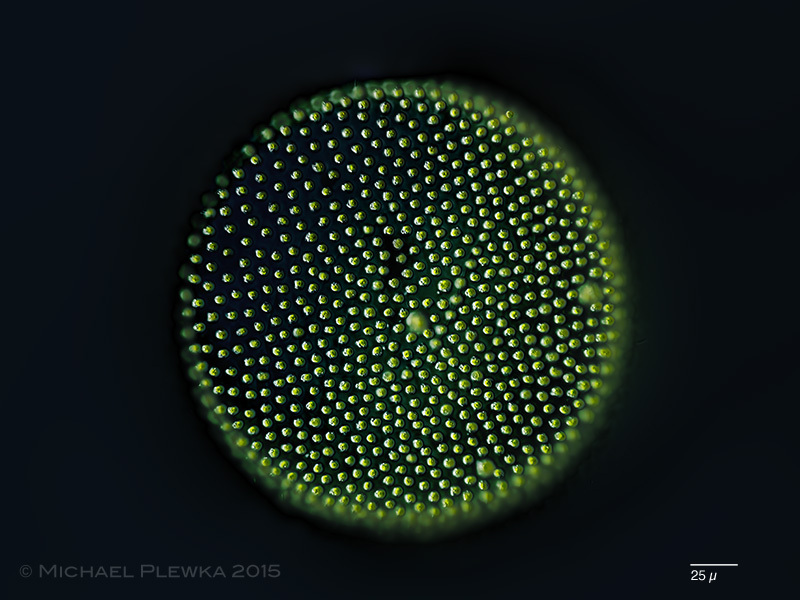 Volvox tertius, a Volvox without plasma bridges between the cells. 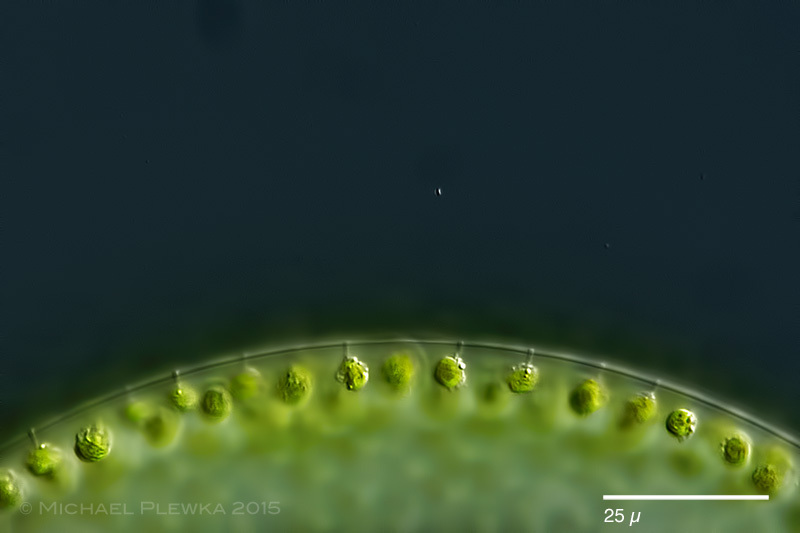 Volvox tertius, details of the cells; vertical view on the surface of the coenobium. different focus planes. No plasma bridges between the cells. 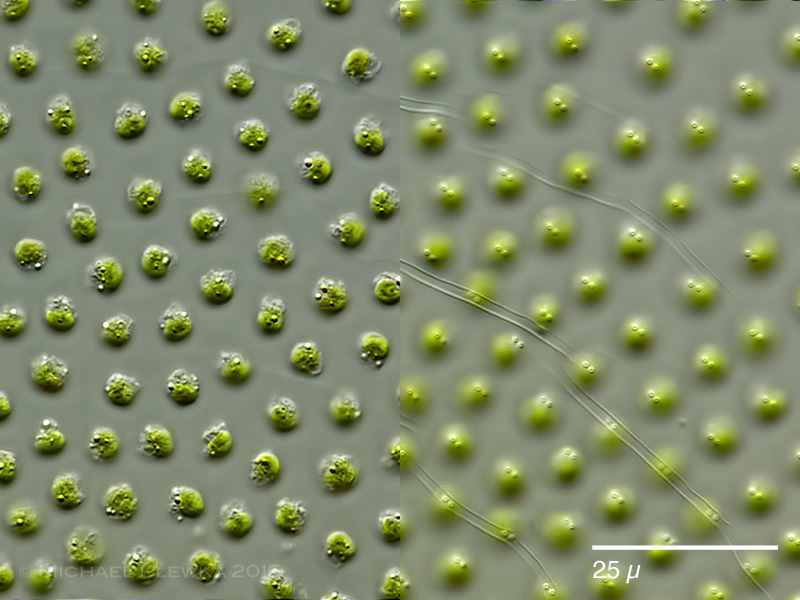 Volvox tertius, details of the cells; optical transect through the coenobium.